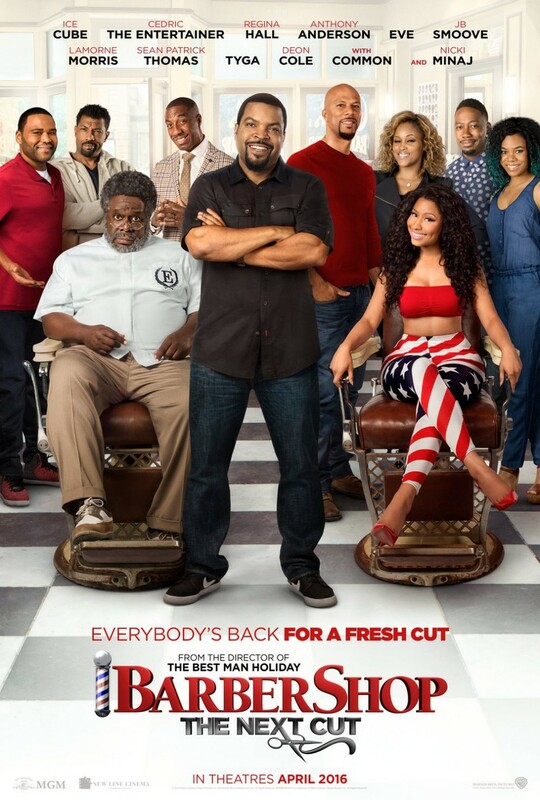 Barbershop 3 The Next Cut DVD and Blu-ray release date was set for July 26, 2016 and available on Digital HD from Amazon Video and iTunes on April 15, 2016. The Barbershop is back - hilarious as ever but with an unexpected twist. Calvin's previously male dominated shop has been integrated with Angie's beauty shop. Some clients and male staff do not seem too happy about the presence of the female stylists. It is set at a time when Chicago is on the verge of collapsing due to drugs and gang violence. Although there are several rifts between the two sides of the shop, the future of their shop and that of the entire neighborhood depends on them working together. They must also keep Calvin's son, Jalen, out of trouble.